This past Sunday morning our church looked at Luke 16: 13-18. In this passage he speaks about his authority -- (1) His authority to expose our hearts & the sin of the culture; (2) His authoritative fulfillment of God's Law (The Old Testament); (3) His authority to interpret God's Word. But the heart of the passage is in verse 16b, where Jesus speaks of the urgency of getting into the kingdom and, thus, the urgency of the good news (the key to the kingdom). Jesus' authority creates a sense of urgency. But why do I see such a lack of urgency all around me? I think that description of the life "scheduled to begin next week" is spot on -- I often feel that myself. Don't you find yourself sensing this sometimes -- even if this scheduled life was only vaguely formulated...perhaps while brushing your teeth or after a good movie? We're often searching for God's will for our lives -- but we often do so to the neglect of the clear, urgent will before us: (1) Luke 16: Get into the Kingdom if you haven't trusted your life to Jesus; (2) If you have trusted your life to Jesus, he states at the end of Matthew's Gospel "All authority in heaven and earth belongs to me. Go therefore and make disciples" (Mt. 20:18-19a). 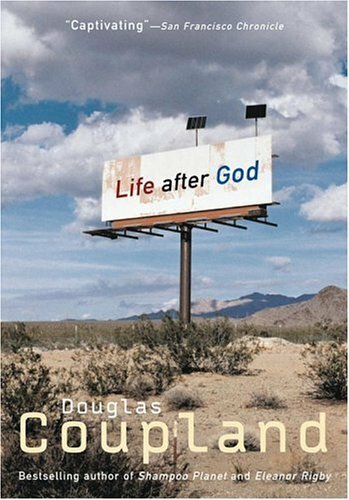 Indeed, I've found that by urgently addressing God's evident, revealed will in Scripture, the more nebulous, what-career-or-place-am-I-supposed-to-be will starts becoming more clear. Jesus was urgent and completed his mission in only 3 years. 3 years!! He's given me about 15 since I became a Christian. But after just 3 years, Jesus said to His Father during the week of his death: "I have brought you glory on earth by completing the work you gave me to do" (John 17:4). Soren Kierkegaard famously asserted, "Life is lived forward but understood backwards." But now it seems many people, when not urged into the kingdom of God, seems pressed with this philosophy: "There is no life forward, all I can do is look backwards and salvage what remains." When talking to friends or loved ones, have you ever grown frustrated when all they seem to do is dwell on the past? I know I have and still do. Perhaps we've never considered that they've experienced what Copeland describes -- a life scheduled for next week that never happened and, having experienced such disappointment in trying to live forward, being compelled to find hope somewhere in their past. Perhaps it's possible, by radically depending on God and His grace, to start being urgent about how we live our own lives & interact with others. And by doing so perhaps God might use us to provide an example to such friends & family of a formerly listless life now moving with a purpose and a forward-ness that could only be divinely-inspired. There are people looking for an such an example, and they are often the same people who need to hear from you and I about God's Kingdom.